Vorsabær 2 is situated in the south of Iceland, about 80 kilometers from Reykjavík. (road 324). Open all year. We offer short riding tours. 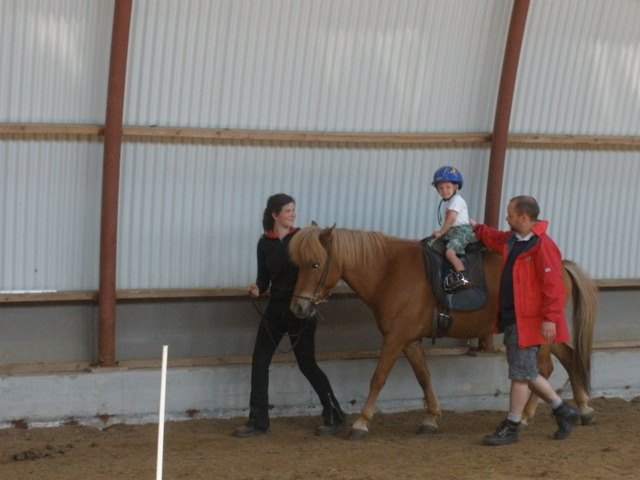 We also provide children tours where they are led by the rein. Although our horses are perfectly calm, we always start the tours in our indoor riding arena to be sure that everyone gets a horse which suits his skills. For more experienced riders we can offer longer riding tours. 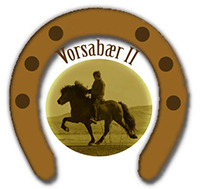 Vorsabær 2 is a well known horsebreeding farm and we also train and sell horses. We also keep some sheep, goats, cattle, chicken, dogs and cats. You can visit us to get to know the farmers work or to take part in it. We provide accommodation in a cozy holiday house. It is ideal to rent the house for a few days and experience the country life in close contact to nature and the animals. We accommodate guests part of the day or for a few days on request. We put emphasis on personal service. The location is ideal for those travelling the south.